Currently, post-traumatic stress disorder (PTSD) is not included as a condition that medical marijuana can heal in the state of New York. This means that veterans, workers, and others who are suffering from PTSD cannot receive a prescription from their medical care provider to use cannabis as treatment. 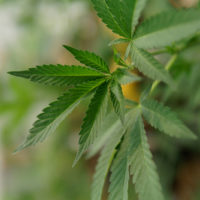 However, this may all change soon, as a bill was introduced to include PTSD on the list of qualifying conditions for New York medical marijuana, according to PIX 11 News. If you are struggling with PTSD as an injured worker or veteran, there is hope even if this bill does not quickly become law. By working with an experienced veterans affairs attorney or workers’ compensation attorney, you may find other forms of treatment, relief, and financial assistance. When veterans who have served in Iraq or Afghanistan come home, they face PTSD, anxiety, depression, sleeplessness, and other serious psychological, emotional, and physical health conditions. These conditions, including PTSD, lead to increased levels of unemployment, homelessness, drug and alcohol abuse, incarceration, and suicide. It is not difficult to believe that veterans who witnessed atrocious events, risked their lives in combat, and saw friends killed, upon return, would face difficult times ahead. What is not necessarily expected, or is at least not acceptable, is the lack of care and concern that veterans are given for their service. Quality health care can be hard to come by and difficult to qualify for, and the waiting line is long. And, instead of treating psychological and mental injuries with therapy, counseling, and a strong support group, soldiers are given bottles of opioids, sleeping pills, and antidepressants. This concoction of drugs is largely at fault for increasing depression and suicide rates among veterans. In fact, 20 veterans commit suicide each day, according to Military Times. Unlike traditional drugs like antidepressants, medical marijuana has few serious side effects that lead to declining mental stability, and has shown to be beneficial in treating PTSD. According to Dr. Kenneth Weinberg, chief medical officer for Cannabis Doctors of New York, “What’s been amazing to me in the year and a half I’ve been doing this is finding out how powerful cannabis is as a medicine. It removes a lot of the memories that are very painful and allows them to be filtered out.” So far, 23 states have already legalized medical marijuana for treating PTSD. The White Plains, New York attorneys of the Law Office of Michael Lawrence Varon are here to provide professional legal assistance to injured workers, veterans, and other who are suffering from post-traumatic stress disorder. We will stop at nothing to ensure that you are given the medical and financial benefits that you need and deserve. Contact us today to schedule a free consultation with one of our veterans affairs or workers’ compensation attorneys.